Jaybird have announced the Jaybird Tarah Pro Wireless Sport Headphones. The headphones offer 14 hours of battery life and a new Magnetic Snap Lock feature that automatically paused music when the earbuds are snapped together, securing them around the users neck. 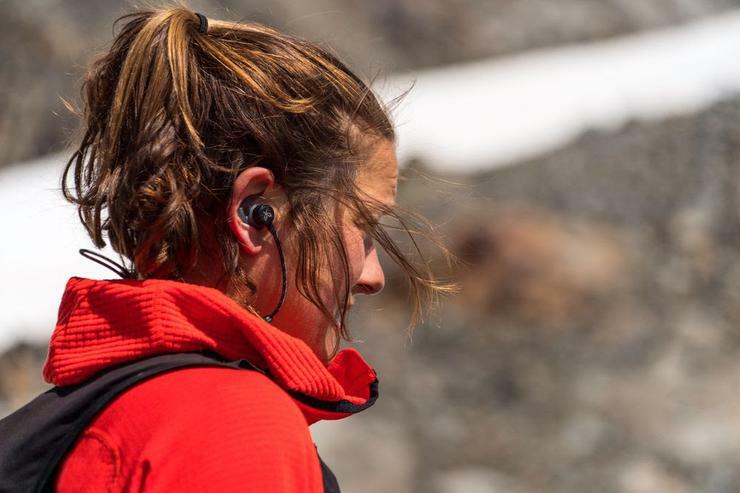 "Designed with insights from some of the world's best endurance athletes, we are extremely excited to announce Tarah Pro, the first wireless headphone in Jaybird's Pro Series," said Jamie Parker, CEO of Jaybird. Tarah Pro has an IPX7 waterproof rating and can handle accidental submersion in water down to one metre for up to 30 minutes. A Speed Cinch cord allows users to adjust the length of the cable quickly. The latest version of the Jaybird app allows users to create a personalised EQ setting and set up an ideal sound profile. The Jaybird Tarah Pro Wireless Sport Headphones are available for $229.95 in Black/Flash and Blue/Jade. For more information, visit jaybirdsport.com/en-au.